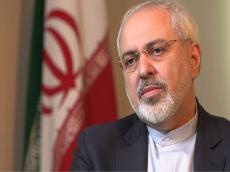 A meeting of the Parliament’s National Security and Foreign Policy Committee was held today with the presence of Foreign Minister Javad Zarif to discuss INSTEX, Trend reports citing ISNA. “At the meeting, the foreign minister briefed the MPs on the financial mechanism between Iran and Europe and stressed that this mechanism was a positive and initial step by the EU to maintain the interests of Iran,” Spokesman of the National Security and Foreign Policy Committee of Iran’s Parliament Ali Najafi said. “At the meeting, the foreign minister, while denying the links between FATF and INSTEX, said ‘we did not accept this precondition’, and even objected that the delayed European action in providing this mechanism cannot have conditions,” Najafi added.